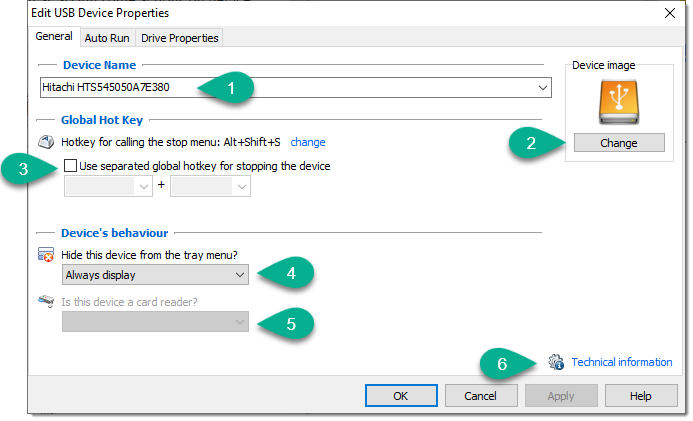 This dialog lets you change device properties such as name, icon, drive letters, device behavior as well as assign some actions on device connection\stop. The dialog consists from the several tabs. When this option is set to "Defined by program" state, the program will define automatically whether device is displayed in the menu or not. It does it simply - all devices with drives become displayed, others become hidden. In most cases the program defines device type automatically, however sometimes it mistakenly define a card-reader as a pen-drive (or vice versa) thereby not allowing you to use special card reader features. In this case you should set this option for the device manually. "Technical information" link displays technical information about the device. Send this information on demand of the technical support of the program in case of any troubles with device functioning in the program. 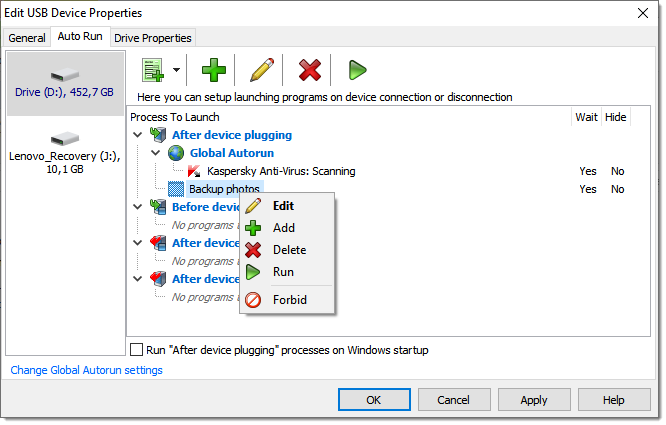 Read more on how to set up program autorun here: How to use program autorun? 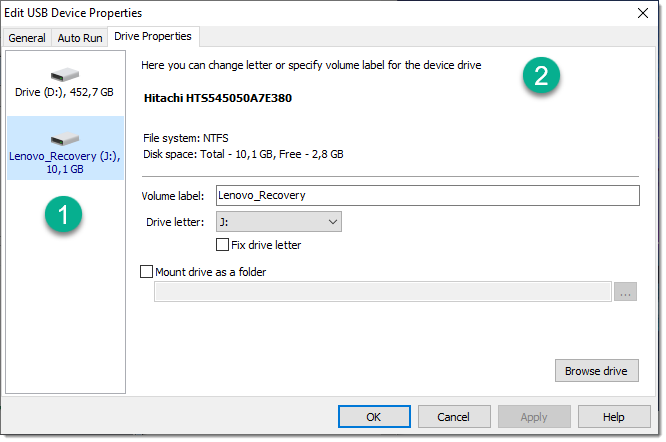 Read more on drive letter management here: How to manage drive letters?